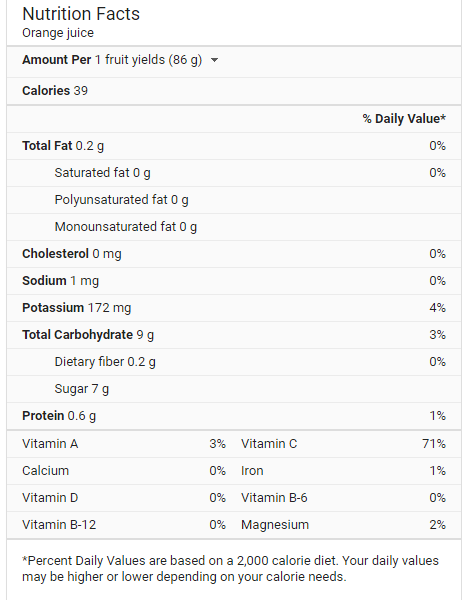 Food Costs > How Much Does Orange Juice Cost? How Much Does Orange Juice Cost? Orange juice has been proven to be a very rich source of important vitamins and nutrients, especially when it is freshly squeezed. On average, the price of orange juice, either freshly squeezed or from a concentrate, can range anywhere from as little as $3 to as much as $7 per gallon. The price will depend on the quality, the store selling it, the brand, and the season. NOTE: All of these prices were obtained at our local Walmart store. Freshly squeezed orange juice at Whole Foods, for example, will cost about $3 for a half gallon. A frozen concentrate will be commercially squeezed, pasteurized and filtered before it’s evaporated under vacuum and heat. By weight, it will be 65 percent sugar and should be stored at about 10 degrees Farenheight. With a frozen concentrate, water will be added to thaw it to its original form. A not from concentrate is pasteurized and then sold at the grocery store as it, with a “not for concentrate” label on the packaging. 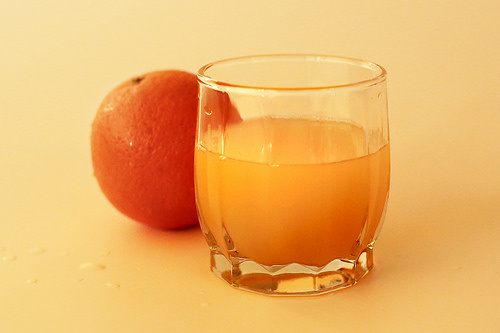 This type of orange juice will reduce the natural flavor due to the removal of oxygen during the manufacturing process. Canned orange juice is canned, retaining the vitamin C much better than bottles. Even though it loses its flavor, it can be stored at room temperature for up to three months. Lastly, freshly squeeze orange juice, as the name implies, is the closest available option to the real deal. This version of orange juice will include freshly squeezed oranges and no additives or flavors will be included. Freshly squeezed orange juice can only last two weeks. In the United States, the major brands include Tropicana, which is owned by PepsiCo, Minute Maid, a product of Coca-Cola, and Florida’s Natural, a locally owned company that only uses Florida oranges. According to Wikipedia, Tropicana owns 65 percent of the market share. Most of your orange juice will be made from a sweet orange, but the Valencia and Hamlin may be mixed if the company is looking for a distinct taste. Orange juice isn’t always a pure orange. Some companies, depending on the variety you purchase, may include additives such as citric acid, ascorbic acid, vitamin D, omega-3 fatty acids and/or additional calcium may be added. Companies will do this in order to improve the taste and/or ensure the taste is consistent throughout the year. In the United States, orange juice is regulated by the Food and Drug Administration and the United States Department of Health and Human Services. The FDA allows one or more of the following ingredients to be added: sugar, sugar syrup, invert sugar, invert sugar syrup, dextrose, corn syrup, dried corn syrup, glucose syrup, and dried glucose syrup. Try buying fresh oranges and squeeze them yourself to make your own orange juice. On average, one medium orange will yield about two ounces of juice. To make the job easier, consider purchasing a juicer to speed up the process. By doing so, you can make orange juice for as little as a few dollars, especially when oranges are in season. Consider a store brand orange juice rather than a name brand. This alone can save you a few dollars, and the tastes, most of the time, are very similar. Do not forget to check for coupons. Many orange juice companies offer coupons on their social media pages, official website and in the local paper. Aside from coupons, orange juice is almost always on sale each week.